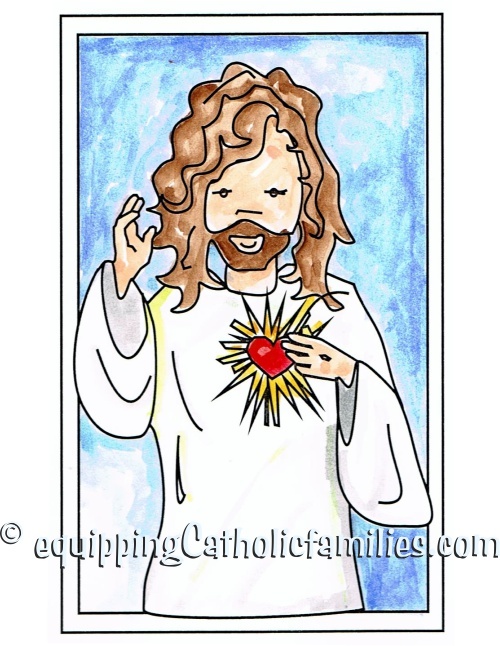 The Feast of the Sacred Heart of Jesus is today and the Feast of the Immaculate Heart of Mary is tomorrow! 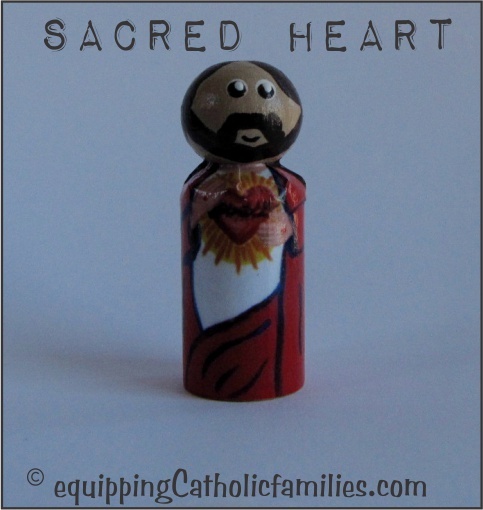 This is my Sacred Heart of Jesus peg doll, using Lacy’s Peg Doll Printables and the paint brush tip eyes to match my army of Wooden Painted Saints. 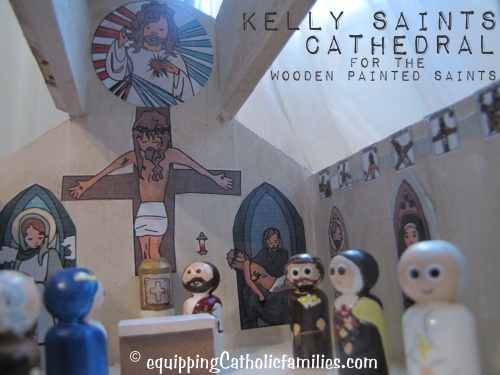 I’ve got lots of tips for making this smaller size of peg saint and our Michaels’ barn turned Cathedral never gets old! 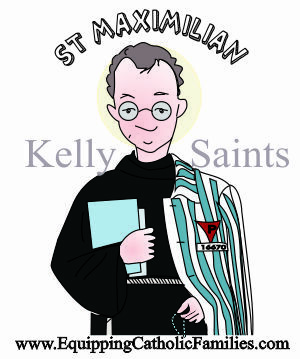 Adam plays with the painted saints…pretty much every day. 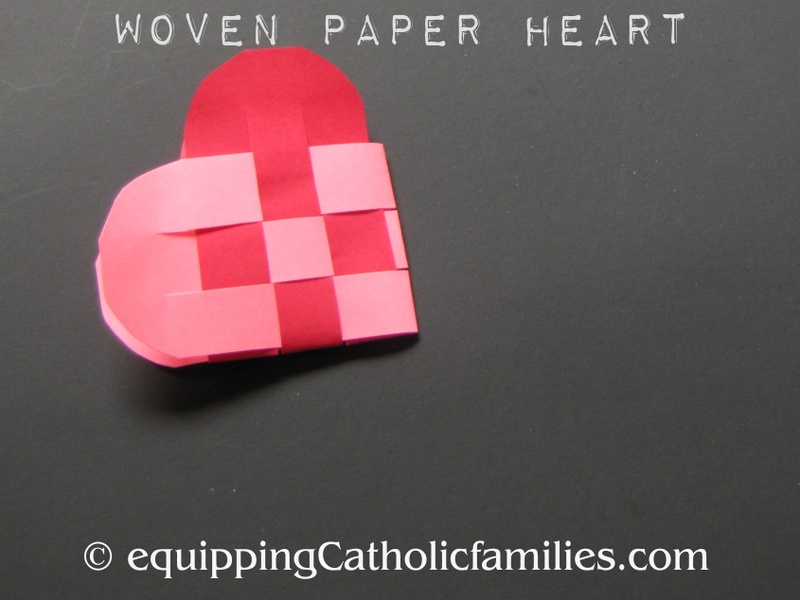 When they’re not congregated in our custom Church, they’re usually invading the latest Lincoln Log castle or tower. 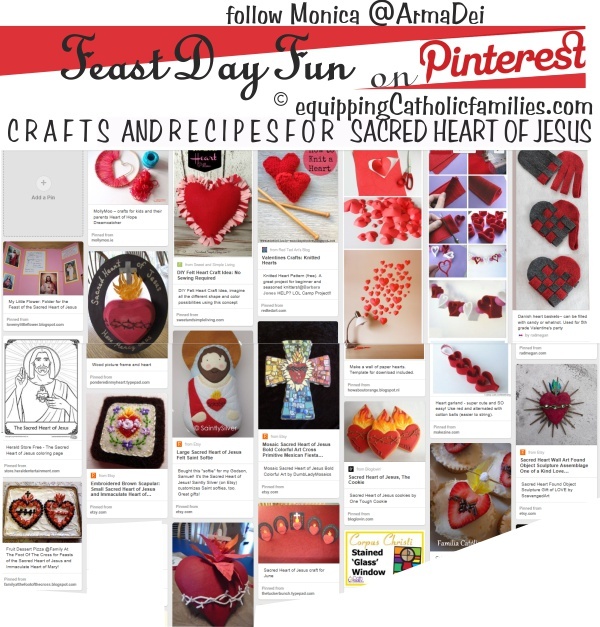 There are lots of crafts out there for the Feasts of the Sacred Heart of Jesus AND the Immaculate Heart of Mary on Pinterest, along with tonnes of heart crafts: perfect for these big Feast Days! 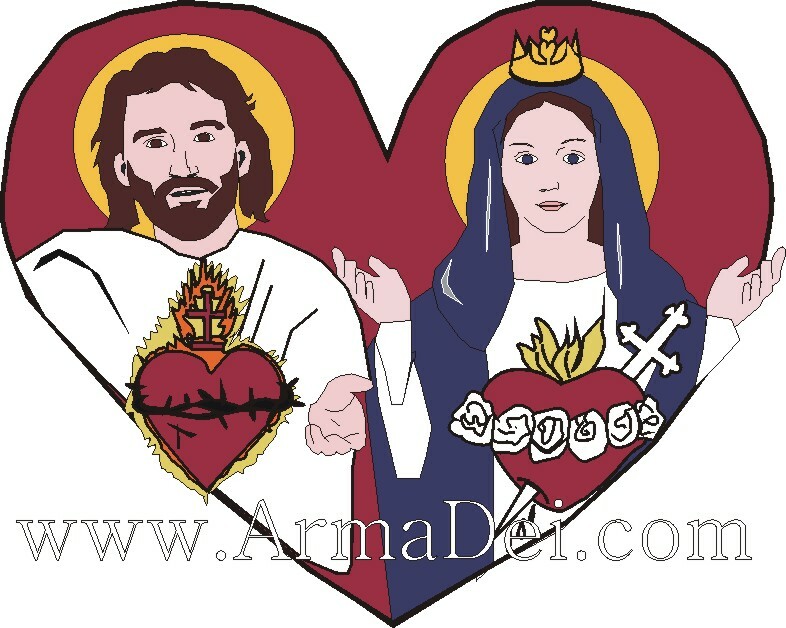 I will try to feature some specific crafts or recipes in tomorrow’s post for the Feast of the Immaculate Heart of Mary! 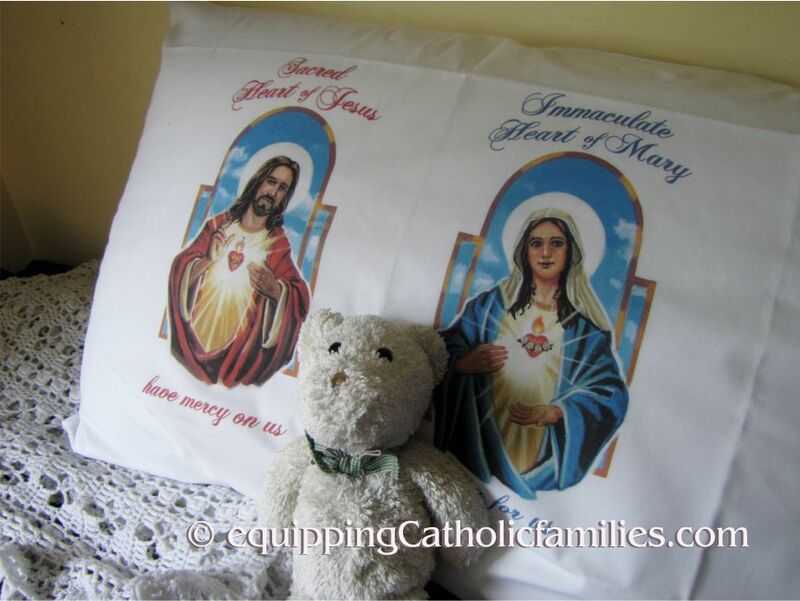 I love these Prayer Pillowcases! We’ve got this perfect one for the sleep tonight!